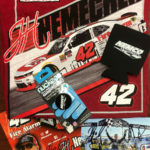 Plus, throughout 2018 Joe Nemechek and John Hunter Nemechek Fan Club members will enjoy exclusive news from NEMCO Motorsports. Membership kits are shipped via USPS Priority Mail. Membership is valid from January 1, 2018 to December 31, 2018. Lionel Racing 2018 No. 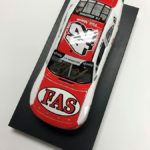 42 Fire Alarm Services, Inc., 1:24 NASCAR Xfinity Series Autographed Die-Cast Chevrolet Camaro. *International Customers: There will be additional shipping charges applied at checkout. Action Racing Collectables 2016 No. 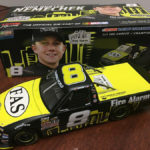 8 Fire Alarm Services, Inc., 1:24 NASCAR Camping World Truck Series Autographed Die-Cast Chevrolet Silverado.